February 22, 2018 | Meagan Miller & filed under Special Events. 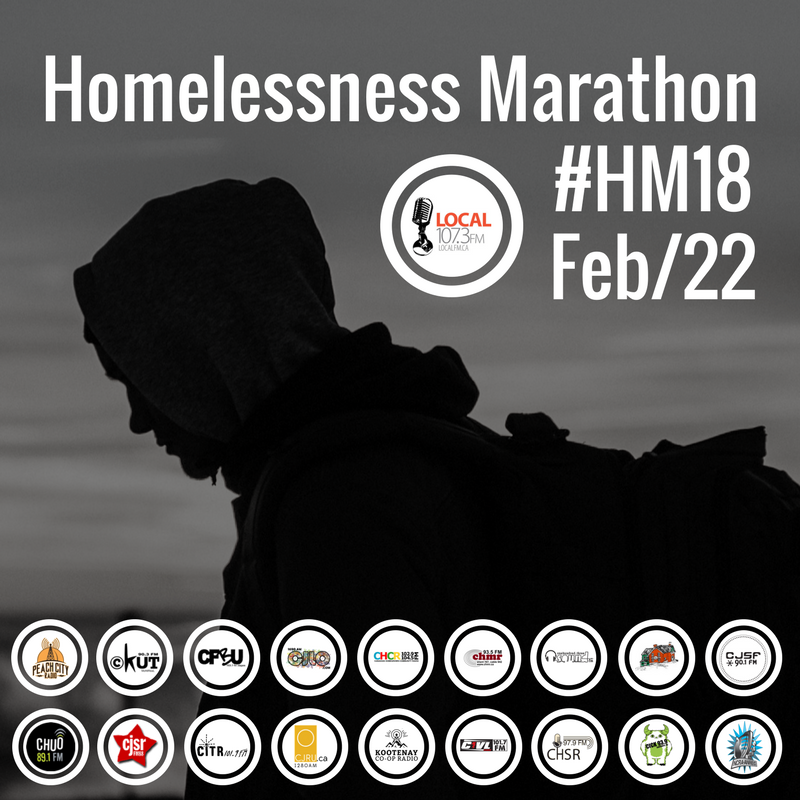 The marathon is a collaboration between community radio stations across Canada to create an entire day of programming focused on homelessness. This year it’s being organized by Local 107.3 FM in Saint John, New Brunswick, in collaboration with the National Campus and Community Radio Association. The marathon will air simultaneously across the country on February 22, 2018. Tune in at 7 PM Mountain Time to hear stories from CJSR’s own team.